Thyroid: The thyroid gland helps regulate hormone levels in your body. Improper functioning of the gland may result in hair loss may result. Healthy Tip: Including foods such as whole fibre rich grains, fresh fruits, brown rice, flax seed and dry fruits help to control hair loss. 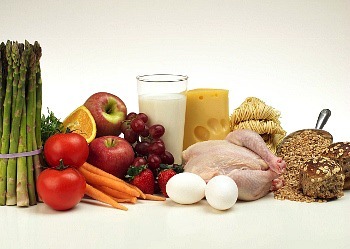 Also include foods that are rich in Amino acids such as poultry, fish and legumes. Iron deficiency anaemia: Ferritin is a protein that plays an important role in iron storage, less ferritin in the blood, the less iron a body has stored up. 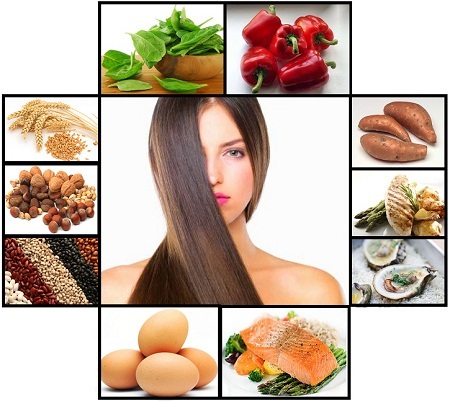 Ferritin is needed to help replenish hair.People who don’t eat enough iron-rich foods are prone to iron deficiency which is an easily flexible cause of hair loss. 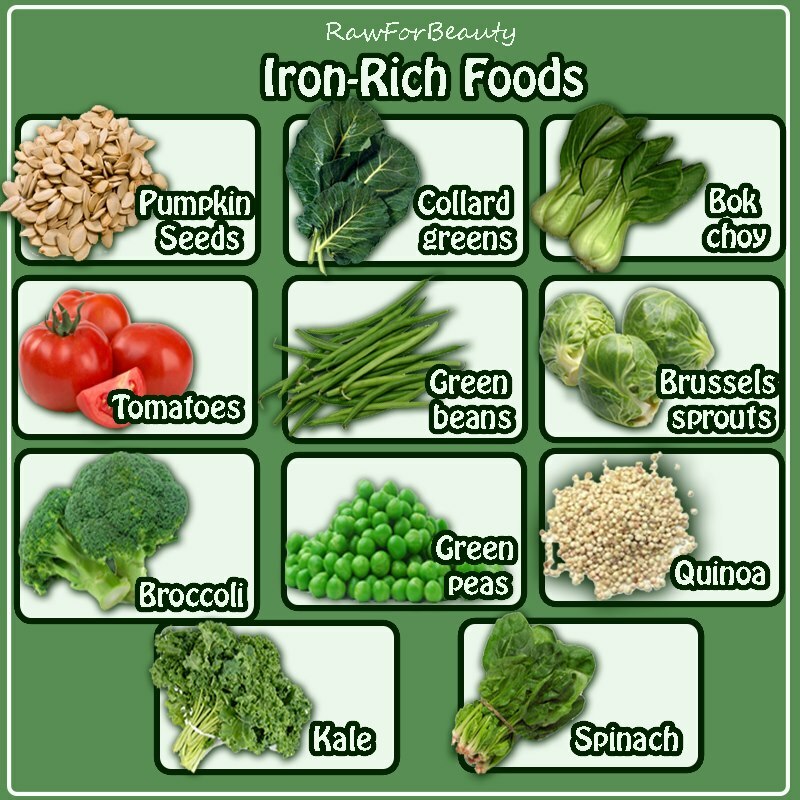 Healthy Tip: Eat iron-rich foods such as beef, fish, leafy greens, Water melon, pomegranate & beetroot preferably, along with foods rich in vitamin C, which enhances iron absorption and tends to decrease the hair fall. Phytoestrogens behave in the body like the hormone estrogen. Estrogen is a hormone necessary for childbearing and is involved with bone and heart health in women. Body converts lignans a type of phytonutrient, into chemicals with some estrogen-like effects. Isoflavones are also a type of phytoestrogen that lowers the risk of endometrial cancer and bone loss in women thus helping in osteoporosis. Food craving is an intense desire to consume a specific food, stronger than simply normal hunger. Usually food cravings arise to satisfy emotional needs, such as anxiety, stress, boredom and mood swings which lead to low serotonin levels. This low serotonin levels (neuro transmitter) sends a signal to the brain to have a positive impact on food. While cravings can mean a number of things including psychological reasons, a strong craving usually indicates your body is low in a specific nutrient, vitamin or mineral which are listed below! When you crave fatty foods??? People crave fats and oily foods because their diets are deficient in essential fatty acids. Others may be experiencing a deficiency in fat soluble vitamins, especially vitamins A, D, E and K. Some have fast metabolism that burn up calories rapidly; these are the people who eat more and still remain thin. Fats and oils contain the high calorie levels that these people need to feel satisfied. Cravings for fatty or oily foods therefore are linked to nutritional deficiency. However, fatty food cravings are also linked to stress and emotional eating. How to curb it: Fatty food cravings can be curbed by consuming nuts & dry fruits like walnuts, almonds, dates and flaxseeds as they are rich in essential fatty acids.